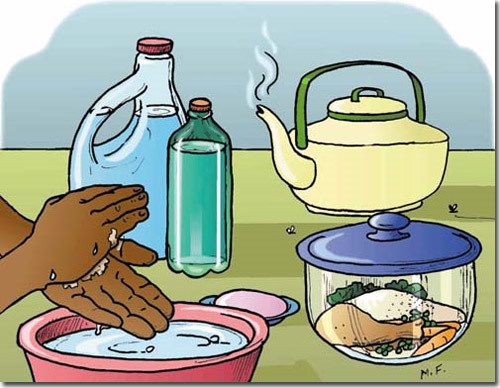 Food Safety is the assurance/guarantee that food will not cause harm to the consumers when it is prepared and/or eaten according to its intended use. Is a group of illness caused by any infectious (bacteria, viruses and parasites) and non-infectious agents (chemical, animal and plant toxins). Separate raw and cooked foods. Keep food at safe temperatures. Preserve the evidence. If a portion of the suspected food is available, wrap it securely “danger” and freeze it. Seek treatment as necessary. If symptoms persists or are severe (i.e. bloody diarrhea, excessive nausea and vomiting or high temperature), immediately consult a doctor. Report the incidence to the local health department. This entry was posted in Food safety, Health and tagged food safety tips, tips in preparing food on July 17, 2015 by Yami. You, as a home chef and serious seafood lover, are able to have the freshest seafood shipped free by FedEx from a company with the serious motto of “shore to door in 24”. That guarantees the ultimate in freshness and taste. The seafood arrives in a re-usable cooler the very next day as long as it is ordered no later than Noon EST on Monday through Thursday except on major holidays. Since there is no minimum purchase required, you can try as much or as little as you want to and can vary your selection from time to time as you experience this outstanding seafood compared to that in the local supermarket that well may be days old. The recipes you make using these extremely fresh ingredients will taste superlative and outstanding and will be appreciated by the diners as they rave about the selections. 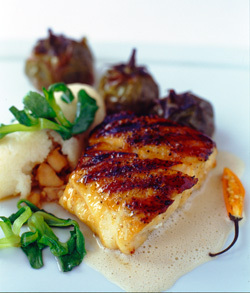 Only the highest quality gourmet seafood is carried, and that offers a wide variety for your enjoyment including such choices as Key West Yellowtail Snapper, Florida Royal Red Shrimp, Florida Black Grouper, Mahi Mahi, Scottish Salmon, Alaskan Halibut, Ahi Tuna, Atlantic Cobia, Atlantic Swordfish, Atlantic Sea Scallops, Chilean Seabass, and more. The seafood is hand-selected, fileted, and shipped within a few hours of its arriving at dockside. Professional chefs from around the world also rely on this wonderful selection, and they and their customers can taste the difference in favorite gourmet specialty dishes. You, the home chef, in turn can create favorite dishes in your very own kitchen using the exceptional recipes provided by a leading chef. Inspiring ideas for dishes and presentations are also provided to make it easy to present fancy and delicious dishes to your family and friends, who will likely not believe your talents. 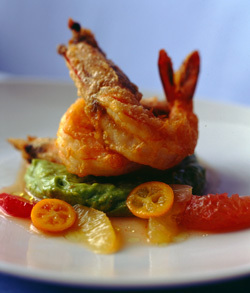 Seafood Packages are also available featuring customers’ favorite combinations. This entry was posted in Recipe, Sea Food on July 7, 2015 by Yami.